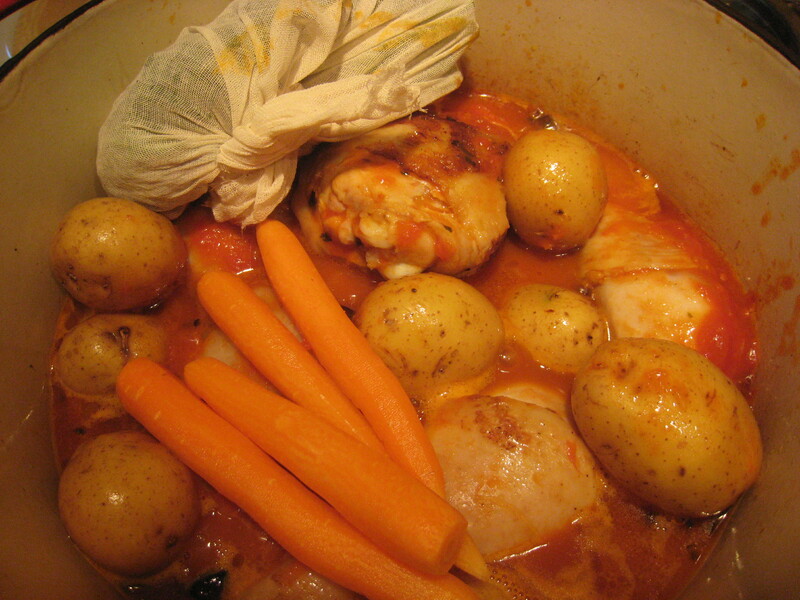 This dish is my version of my Grandma Shirley Schure’s famous stewed chicken. An intuitive cook herself-my Grandma’s beloved recipes are still in heavy rotation in my family. I’d like to think she would have approved of my updates. 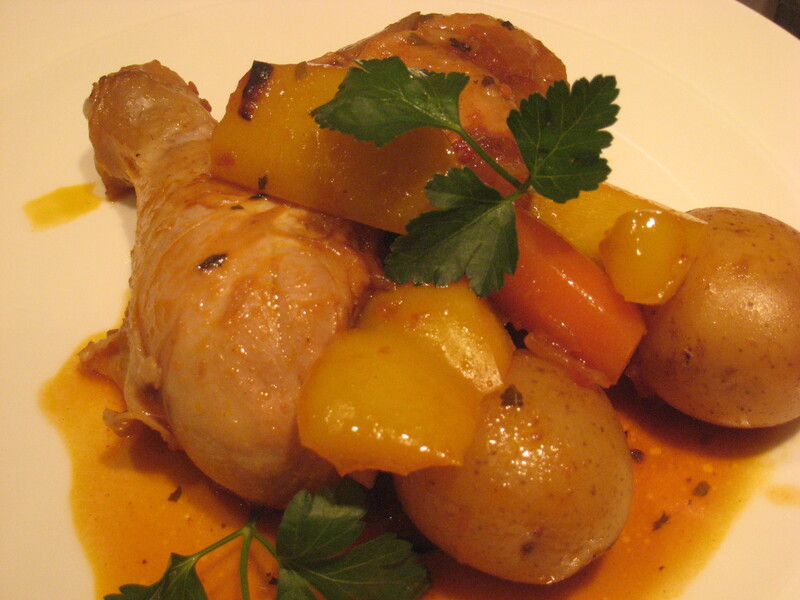 The flavor of this sauce is out of this world as it is built layer by layer and the chicken just falls from the bone. I hope you enjoy my family recipe! Cook onions in the butter and olive oil. Don’t skimp on the butter. 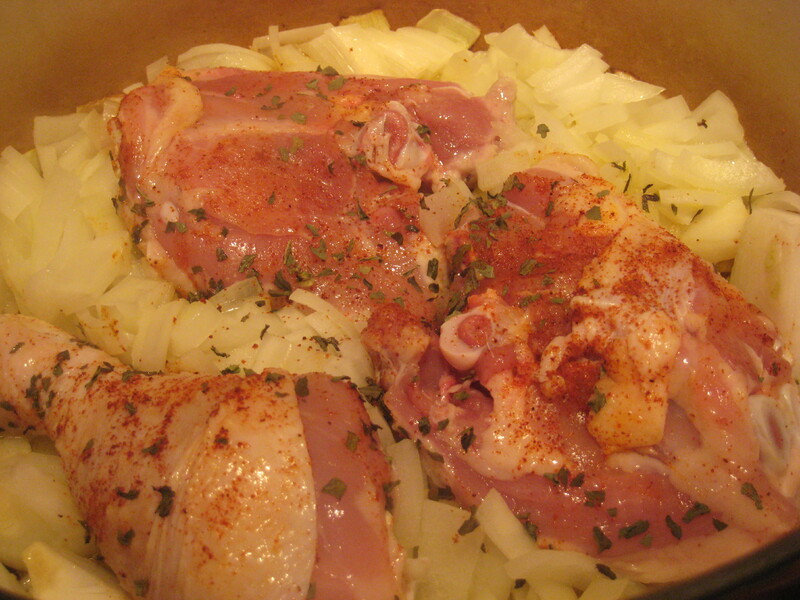 Meanwhile, dry the chicken and add the spices (except parsley) to chicken. Brown chicken in batches turning frequently. Put all the chicken back in pot and add rest of ingredients, except bell pepper. Cook covered on low heat for 1/2 hour. Give it a big stir, then add bell pepper. Cook another 20-30 minutes uncovered. Serve garnished with fresh parsley. Nice updates to Grandma’s recipe. Now feed meh.